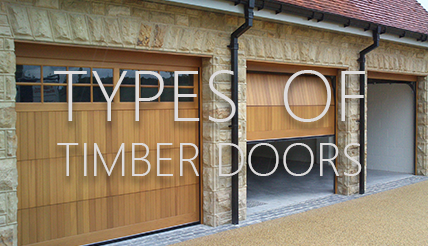 The Overlap garage door is a timber door with a real difference in that it behaves like a sectional door but has no internal tracking at all. 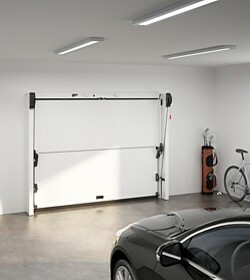 The door is manufactured always in 2 panels split horizontally, and rises vertically using a counterbalance weight system, with the 2 door panels ending up horizontal and sitting one on top of the other giving excellent drive through width and height when open fully. 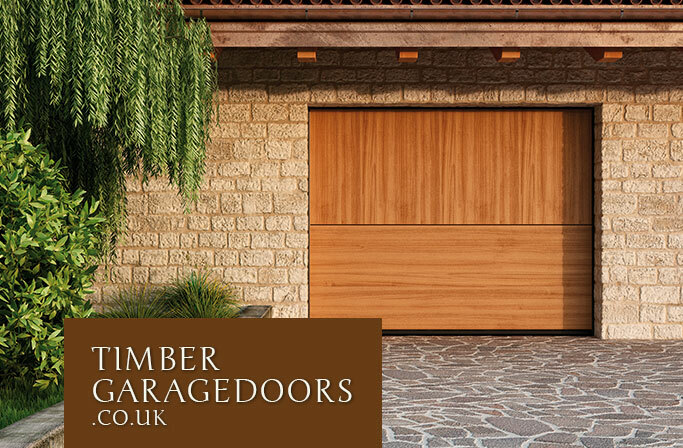 All Overlap timber doors are made to measure in 50mm increments in width and height for a perfect fit every time. 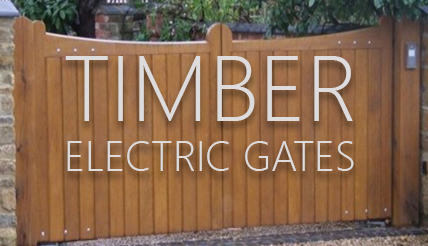 Sizes are available up to 5300mm wide and 2980mm high. There are many beautiful door panel designs to choose from in the standard range and also made to order special designs to ensure a perfect or unique door to match your architectural features. 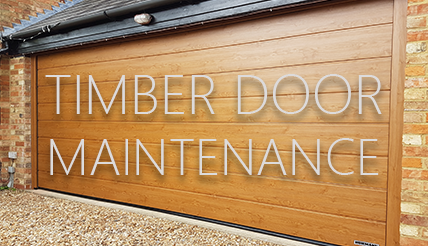 All doors are factory finished both sides in a wide choice of standard wood stain or paint finishes with special colours also available on request. Every Overlap door is electrically operated as standard with a choice of access controls ranging from hand-held transmitters, push or key switches, timers and biometric controls. The electric motor drive and controls are neatly hidden away in the top head frame section with no visible difference to the manual option. No internal tracks at all make a neat finish inside with the option of a clean white finish or the same finish as the outside face of the door panel. High ceilings, use as another room, office, gym or just a cool place to show your pride and joy are not a problem with the Overlap door. 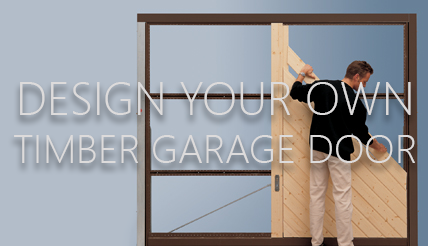 No tracking or springs and high levels of insulation make this a perfect door for a perfect garage. Security is high as standard on the Overlap doors, not only from the fact the door panel is 75mm thick but the unique Silblock and Silhook systems developed for this door do their job well. The 'Silblock' is a patented locking spring, which provides burglary and wind resistance. 'Silhook' is a locking system with hooks, which allows you to increase security and is independent from the operator. A strong panel and integrated steel box section subframe all gives a security level far higher than most other doors. With the standard automation package there is no external handle for any attempt to force open and with a door 75mm thick there is no chance of an easy and casual forced entry.